Magic Leap could be the world's most expensive bit of vapourware or it could be the answer to the augmented reality question. Rony Abovitz's secretive startup is about to add another $827 million in investment to add to the $542 million it secured in 2014 from Google, Qualcomm and others. Do the maths! That's about $1.4 billion. Man, the future of augmented reality costs mad dollar. The new details around Magic Leap's money matters come from Forbes which obtained the filing from VC Experts, a market data provider and from the number of recent reports surrounding the deal, it looks legit. Forbes doesn't have any info on who has invested in the Series C round yet but it did find out that there is a Magic Leap board seat up for grabs. The South Florida Business Journal was the first to report that Magic Leap was involved in the deal which could value the company at a whopping $4.5 billion. That's all fairly common stuff for a hot tech startup. The difference is that aside from a few journalists and, we assume, the investors, no-one has tried out the tech and there is no product yet. The AR tech will rely on some kind of smart glasses or HoloLens-style headset and we know that Magic Leap is experimenting with light field technology, possibly in a similar way to Nvidia in its collaboration with Stanford for VR. We also know that Abovitz wants Magic Leap to be "an operating system for reality" so it's much more than a piece of AR hardware. But as we've said before, there are still more questions than answers. 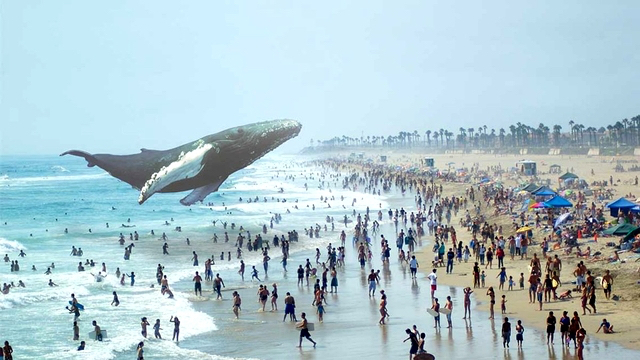 Could Magic Leap power a new version of Google Glass? Is the field of view better than HoloLens? How have Abovitz and his engineers fixed the problem of light from the real world interacting with 3D virtual graphics? Snarky cynicism or blind optimism? We're plumping for the latter, at least as long as Magic Leap gets the big bucks it apparently needs.